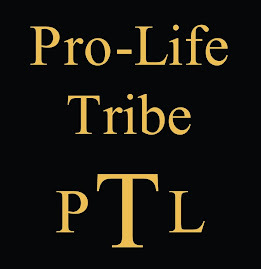 Considering how to get involved in the pro-life movement? Don't see what you can do? Here is one way I help out. I may not have the time to hold up signs or give a great amount of money but God has allowed me to give through my business. I own a seasonal consignment sale. Each consignor can decide if they would like to donate their items at the end. They know up front that if they do, it will go to our local PCC. We end up with a lot of clothes and furniture for them. We also hold a diaper and formula drive to help the centers out. Consider what you can do today! During the month of January Betsy Powell of Focus on the Family urged Facebook members to BEaVOICE and send notes of appreciation to pregnancy centers for their selfless ministry of grace to women in unexpected pregnancies. Consequently, an awesome 23-page document, comprised of hundreds of individual thank-you notes, testifies to the great work of pregnancy resource centers around the world, more than 2300 in the US alone. You can access that document by clicking on the link below. Read and be blessed! Betsy tells me that people can also download prayer requests that have been submitted by pregnancy centers across the country. Print them out and share with a small group that would like to support these gracious servants in prayer - or use for your own prayer time. http://www.facebook.com/l/ab90a;www.heartlink.org/PDF/prcprayer.pdf"
She examined the jewel in our crown--firstborn son of our firstborn daughter--with the trained eye of a pediatric nurse and declared, "Something's wrong. I'd have him checked for Down syndrome." I recoiled, like a cobra, in denial. Who was this person who dared upset our perfect world and perfect family with cruel conjecturing? Certainly it hadn't escaped me that Sam had low muscle tone, that his head sometimes seemed too heavy for his neck. But, after all, he was only five months old—and a large head often indicates high intellectual capacity, does it not? Besides, if there were a problem, the doctors certainly would have noticed it. This one, after all, was only a nurse. Two weeks later, we had the truth—the nurse was right. Sam has Down syndrome. Only God is perfect. He decides what’s best for us . . . what we need. And, having supplied that need, He gives us strength, yes, even joy, to walk the path He sets before us. Sam meets our needs perfectly, teaching us daily about unconditional love. And through him, this staunch advocate of the sanctity of human life gets to practice what she preaches, "All life is sacred."